Among the most important minerals and nutrients needed by our bodies are: each of the B-complex series, antioxidant vitamins A, C & E, essential minerals like selenium, calcium, magnesium & zinc. This list is endless and their function and importance are far too much to be penned down here. One thing that is important and should be remembered is that we need an adequate supply of vitamins and minerals to keep our bodies function properly. Most of us do not eat foods that cover all the necessary vitamins and minerals. Our daily diets usually lack the necessary nutrients and need a supplementary backup to provide the missing essentials. The Deva Vegan Tiny Multivitamin Mineral Supplement Tablets is specially formulated to provide a daily dose of all the important vitamins and minerals that are vital for our body’s normal functioning. The Deva Vegan Tiny Multivitamin Mineral Supplement Tablets are pretty small in size. Each tablet is 5/16 inch in diameter and 3/16 inch thick. 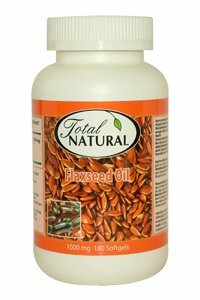 This small size makes them very easy to swallow unlike the usual bazooka size of multivitamin tablets. There are 90 tablets in this container. Daily dose includes one tablet daily, recommended with a meal or as directed by the physician. 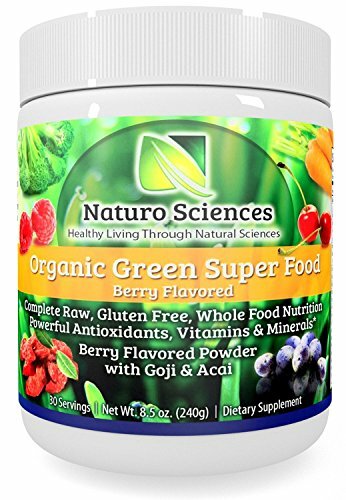 100% daily value of –vitamin C, D2, E, B1, B2, B3, B6, Folic Acid, Vitamin B 12 & B5. 50% daily value of-vitamin A, Iodine, Selenium, Manganese. 25% daily value of-Chromium and Molybdenum. 2% daily value of-Calcium & Magnesium. All of the ingredients are from non-animal source. These ingredients are: cellulose, vegetable stearic acid, vegetable magnesium stearate & croscarmellose sodium. These tablets are free of any kind of allergens like: gluten, wheat, yeast, dairy, egg, salt, sugar, shellfish, animal products or derivatives. An overdose of iron containing products is a major cause of fatal accidents among children under 6. Therefore, the product should be kept out of reach of children. In case of any such mishap, take emergency help immediately. 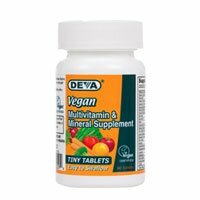 The Deva Vegan Tiny Multivitamin Mineral Supplement Tablets are specifically formulated for people who are strictly vegetarian and need a strong supplement for their vitamin and mineral deficiency. These multivitamin tablets are certified VEGAN by the vegan society. 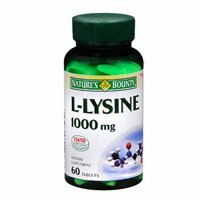 These tablets would give a strong boost to your immune system and help to support your metabolic activities. These easy to swallow supplementary tablets by Deva Vegan provide a perfect supplementary back up for your minerals and vitamins intake. You can order these tablets on Amazon.com where they’re available on sale.